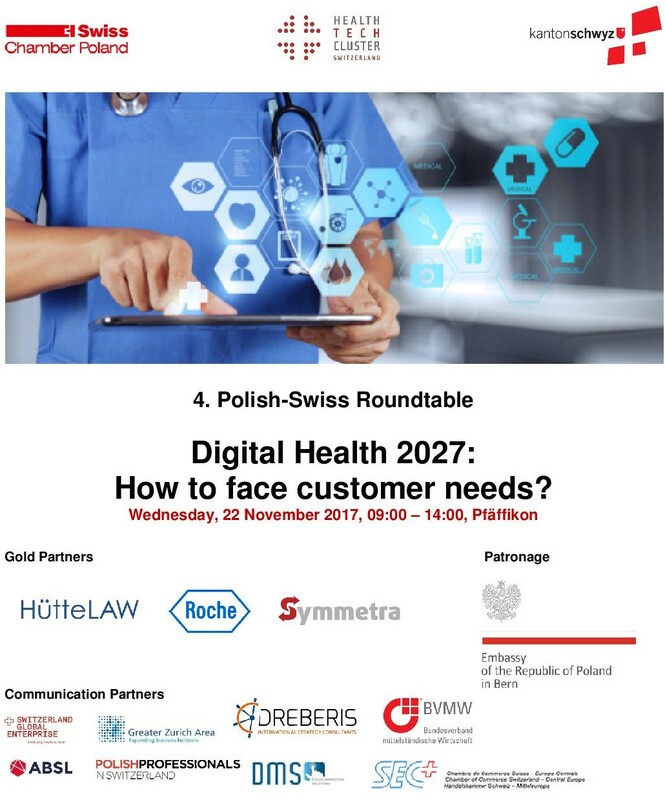 the Polish-Swiss Roundtable aims to bring together companies from Switzerland and Poland (ICT and Health Tech) to get to know each other and explore possibilities of exchange, inspira­tion and partnerships. This event is targeting to business leaders from the Health Tech industry and ICT, which are both industries with a high growing potential and changing customer needs. During the event, participants will have the opportunity to learn more about the IT solutions of selected Polish and/or Swiss companies at the allocated stands organized by the respective companies. We are sure that this international meeting will give you new insights and new contacts for future business. We are looking forward to seeing you in Pfäffikon SZ in Switzerland! with the subject header «4. Polish-Swiss Roundtable».